Today, most organizations know that there is a gap between recruiting graduates and the point at which they become productive. By combining training with academic study, student can acquire the business-critical skills they need. Industry value adds trainingat graduate or post graduate level become as important as it ever was! If you are serious about your career and want to explore one of the fastest growing IT in the world i.e. 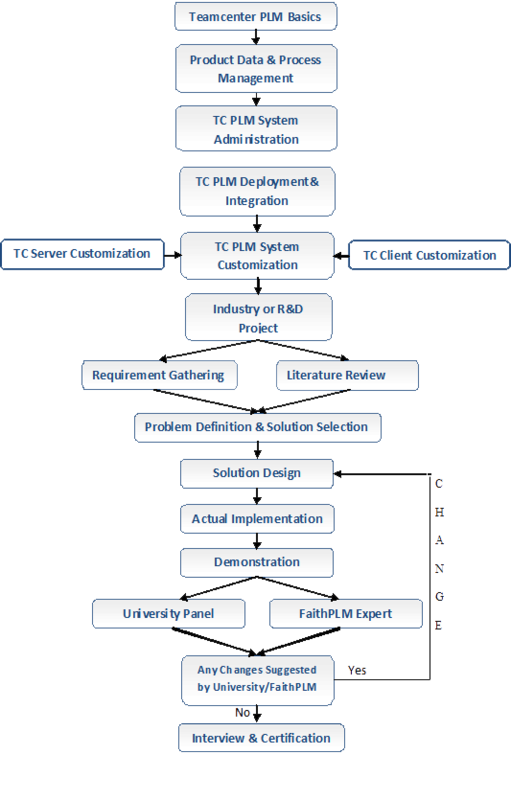 Siemens Teamcenter Product Lifecycle Management software, you are welcome to join best suited program from the list below, which is transforming student profile like you to a successful Teamcenter PLM professional. Presently, there is huge crunch of qualified resources to handle Teamcenter PLM technology across the globe and hence job opportunities are very high internationally. This program is designed for students who are willing to get successfully transformed to Teamcenter PLM professional by exploringTeamcenter Usage, Administration, Installationand Integration along with Server & Client customization at its depth. 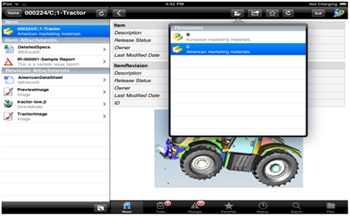 This includes project for student in Teamcenter PLM which can be submitted to university for course completion. Understanding Teamcenter Implementation, Solution Design, Testing, Upgrade, Site Support and Development using live industry business cases. Assured Job opportunity in right industry with right remuneration at right time. PLM Basics: This covers PLM basic fundamentals, requirement, principles, core concept, functions, platforms, PLM Value, benefits, deployment in various industry. 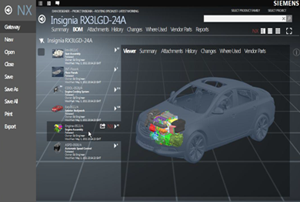 Teamcenter PLM Functional: This covers functionalities available in TC Unified and its usage for product data creation, management, dissemination and collaboration across the extended enterprise. 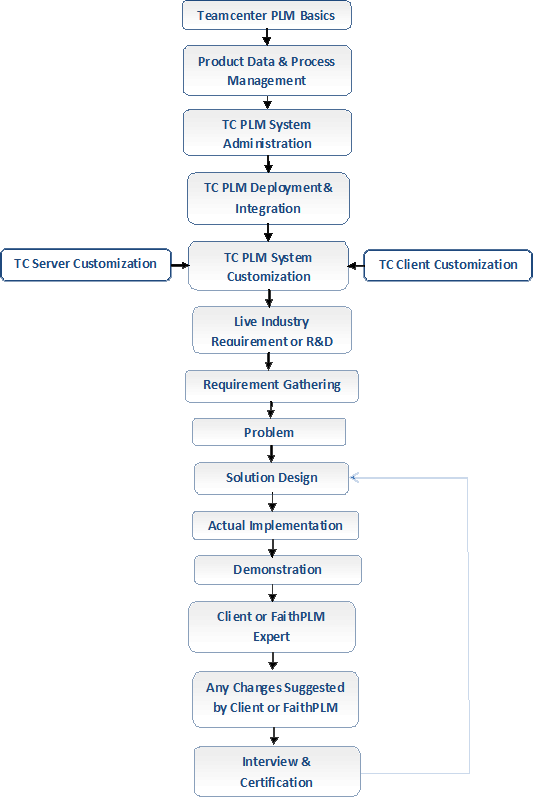 Teamcenter PLM Administration: This covers data & application modeling which includes mapping enterprise requirement in TC unified through customizing various functionality out of the box. Teamcenter PLM Deployment & Integration: This covers deployment & integration strategies, various s/w involvedcomponent and their purpose. Teamcenter PLM Customization: This covers writing a code for server and client (Rich & Web Client) for mapping various business requirements. Teamcenter PLM Project: This will cover mapping a live industry requirement in Teamcenter solution development. Teamcenter PLM Examination& Interview: Thisensures your knowledge and concept and hence makes this program full proof from industry acceptance point of view. Interview by various companies looking for PLM professional. Multi-CAD Integration Working Overview : Working in Teamcenter Manage Mode like CATIA, ProE, NX, Solidworks, SolidEdge, AutoCAD etc., role of JT enabling collaboration, MultiCAD support. BMIDE Interface: View, Perspective, Menu usage, connection etc. Workflow troubleshooting like resume, cancels, suspend, delete et all. Rich Client Non programming customization. Change the Teamcenter Splash Window. Run the Rich client from Eclipse. Adding menu command to a menu, toolbar and shortcut menu. Form user interface display components. RichClient ?UI form with XML stylesheet. Modifying a predefined style sheet. Creating a new style sheet. 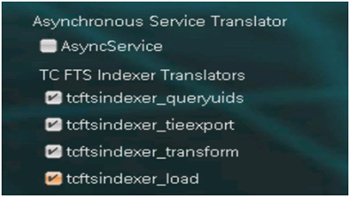 Example of XML style sheet definition and rendering. Rich-client UI Form with JavaBeans. UI Form customization with Java. Introduction ? UI Form with JavaBeans. Developing forms by extending the abstract class. Register the Form Panel with the Rich Client. Basic user Interface form and component. Add a new Perspectives and view. Call ITK function from the Rich Client. Register the User Service Method. Implement method on the server side. 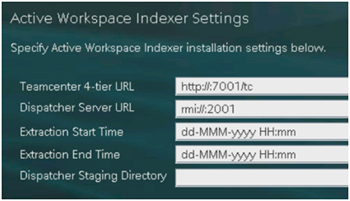 Compile and link server Exit. This examination tests the knowledge of participants at its depth. This program is designed for PLM aspirant who are willing to learn Product Lifecycle Management (PLM), a today's fastest growing IT. 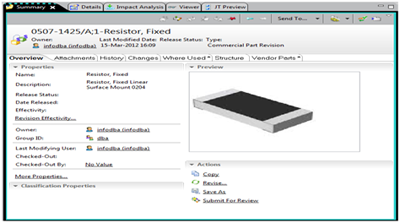 To understand this need FaithPLM Solutions technology center. Pune have started a initiative which help PLM aspirant to understand The Siemens Teamcenter PLM at its depth and will be able to implement the same to achieve business goal by increasing Individual IT and Application productivity. This program will help PLM aspirant to understand a set of business Solutions offered by Siemens Teamcenter PLM in support of collaborative creation , management , dissemination and use of product information across the extended enterprise from Concept to end of life achieved through integration of process,people, business system and information. This is also called as Teamcenter Configuration or Teamcenter Codeless Configuration Training since it helps you to configure Teamcenter application as per the customer business requirement. Teamcenter Business Data Modelling-->This covers how to extend the Teamcenter data model schema using business modelling development environment (BMIDE). This is also called as Teamcenter Installation and Integration or Teamcenter Installation since it helps you to understand how to install Teamcenter PLM system on different OS platform based on the customer requirement with required integration like MSO, MCAD, ECAD, CAE software. This program is designed for participants who are willing to explore how to install Teamcenter and integrate with various authoring tools like MSOffice, AutoCAD, NX, ProE, CATIA, SolidEdge, Ansys, Hypermesh, Zuken, Mentor etc with 2Tier, 4Tier and Thin client. This program helps you to understand how to perform server customization using C, C++, ITK and SOA for the industry business requirement by extending codeless configuration through code. This program is designed for participants who are willing to explore how to customize Teamcenter Server using C, C++, ITK and SOA in MSVisStudio or Eclipse and also using BMIDE. This covers writing various customizations like batch utilities, workflow handler, post action, pre-action, pre-condition, report customization, and propertyextension like runtime property, operation and property getter/setter methods. This program helps you to understand how to do rich client customization using Java and SOA for the industry business requirement by extending codeless configuration through code. This program is designed for participants who are willing to explore how to customize rich client using JAVA, SOA. Active Workspace Client is a revolutionary client offering key capabilities like improved user experience, enabling mobile user to use Teamcenter, zero install footprint on client, and many others which lead to business benefits as below. Enabling PLM usage and its benefits to downstream user through greater UI experience on various devices like mobile, tablet, desktop etc. Intuitive UI reduces the need of training and enable end users to be productive immediately. Active workspace in application like NX, Vis, MSO helps user works in their preferred environment. FaithPLM Solutions offer comprehensive training on Active Workspace Client which helps participantsto understand usage, installation, configuration and customization at its depth to take business benefits of Teamcenter PLM to its next level. This program is designed for organization who wants to get participants transformed to successful Teamcenter PLM professional by exploringTeamcenter Usage, Administration, Installation& Integration along with Server & Client customization at its depth. PLM Basics->This covers PLM basic fundamentals, requirement, principles, core concept, functions, platforms, PLM Value, benefits, deployment in various industry. Teamcenter PLM Functional->This covers functionalities available in TC Unified and its usage for product data creation, management, dissemination and collaboration across the extended enterprise. Teamcenter PLM Administration->This covers data & application modeling which includes mapping enterprise requirement in TC unified through customizing various functionality out of the box. Teamcenter PLM Deployment & Integration ->This covers deployment & integration strategies, various s/w involvedcomponent and their purpose. Teamcenter PLM Customization->This covers writing a code for server and client (Rich & Web Client) for mapping various business requirements. Teamcenter PLM Examination->Thisensures participants knowledge and hence makes this program full proof from industry acceptance point of view. RichClient –UI form with XML stylesheet. Introduction – UI Form with JavaBeans.